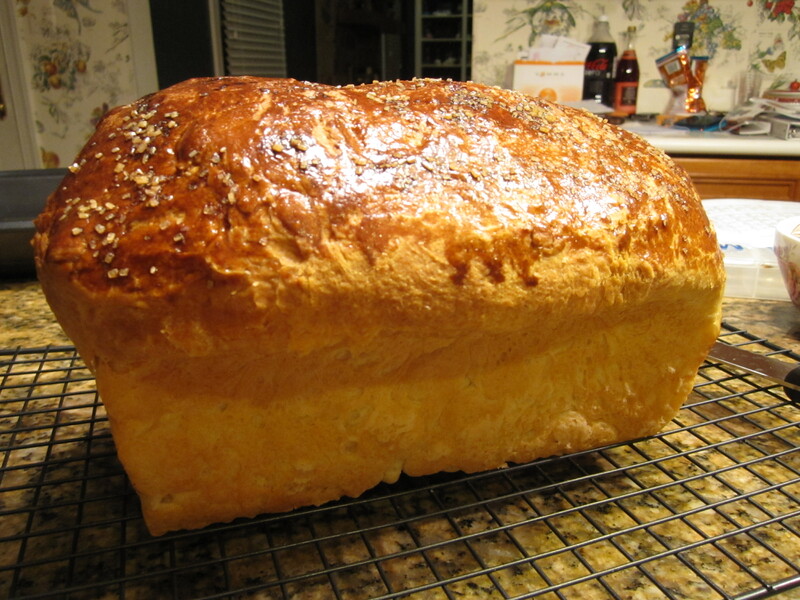 Hmmm… what to do with homemade brioche that is a few days old? French toast of course! 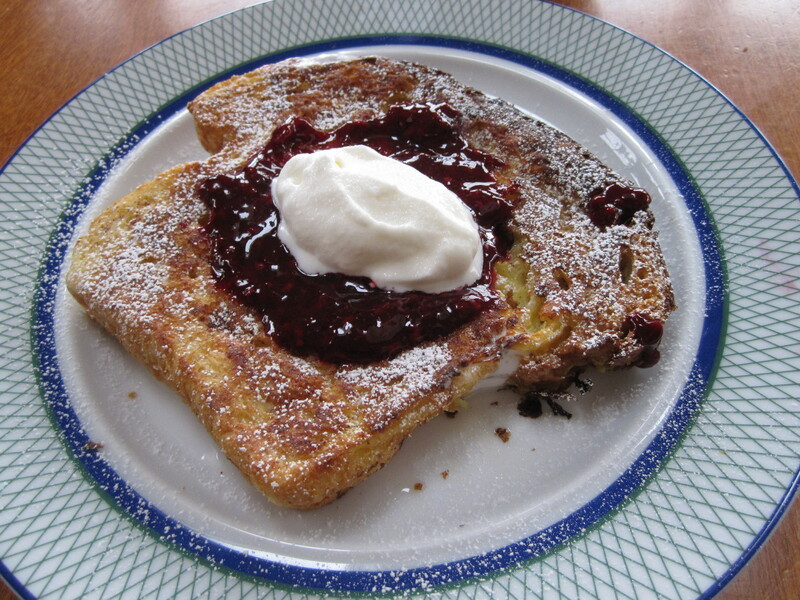 Whipped up some french toast batter of egg, milk, sugar, salt, and cinnamon with a blackberry coulis and some freshly whipped cream. Perfecto. Ahhh bread. Delicious carbiness that completes my soul. Brioche is a frenchie, buttery type that can be sweet. It is similar to Challah but I’m sure that isn’t a very pc comparison. I first made it with a friend for Thanksgiving a few weeks ago and for a fabulous picture of our bread platter and general recap of turkey day look at her blog here. It was a beautiful braided piece that was divine. I decided to make more since I have buckets of time currently. The one from Thanksgiving was from a recipe in Cooking Light November issue(?) and the one above is a recipe from “The Gourmet Cookbook” which is a buttery-yellow tome of a cookbook. It was pretty easy to make but requires a bit of time. egg yolk + cream wash, who wouldn’t want that? I had to try a slice even though it was 11:30. It was so worth it. 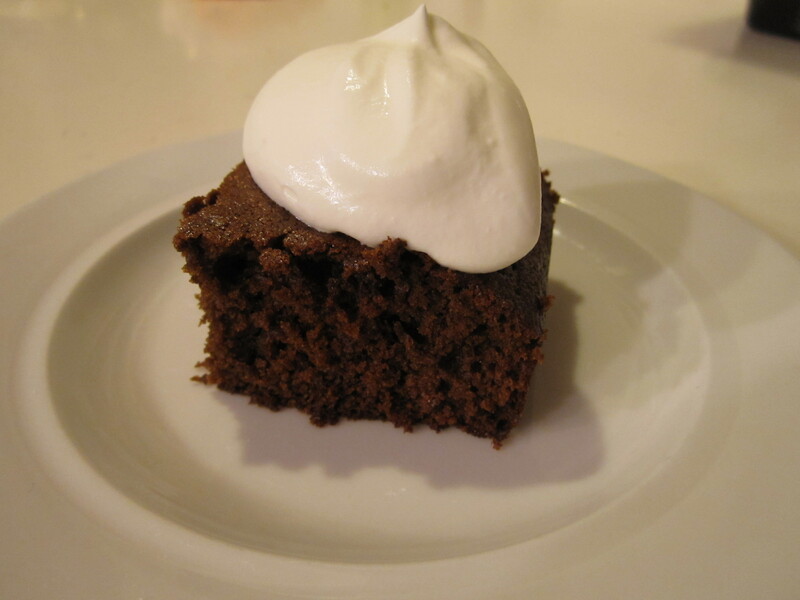 Nothing says winter like some gingerbread with a dollop of whipped cream on top. This recipe was one from the ‘organic naturals’ brand (or something like that) test kitchen that was good because it used buttermilk which we had in our fridge. My mom made some gingerbread from our Southern Living Cookbook a few days earlier and we decided that that one was less sweet and thicker. It’s weird because gingerbread happens to look exactly like chocolate cake! If you were expecting chocolate cake and took a bite out of it, it’d be like ‘Surprise! I’m gingerbread not chocolate cake, but aren’t I just as delicious!’ just sayin.